Can you believe it’s almost football season? The pre-season is underway and many of us are still staring at high triple digit temps, but I digress! Two of my favorite programs during football season are ESPN’s NFL Sunday Countdown and ESPN’s Primetime. If you’re a football junkie you can get all the analysis and predictions before the first kick and see all the most important replays at the end of the day. In particular, I especially enjoy a segment called C’mon Man! 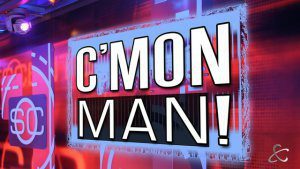 It goes like this, when an athlete makes an egregious error, on or off the field, it’s followed by the cry, ‘C’mon Man!’ Not to be confused with ‘You da Man’ (a good thing), ‘C’mon Man’ is saved for those special infractions where the player should know better. In finding and attracting talent to our organizations, we have our own share of ‘C’mon Man’ moments. You’re the hiring manager and have an interview at 12:00 Noon; the first time you take a serious look at the candidate’s resume is 11:55. C’mon Man! Instead of using objective data to make sure you’ve matched the right candidate to the role, you reply. “I’ll know it when I see it.” C’mon Man! In the 60 minute interview you speak 55 minutes and then ask, “Are there are any questions?” C’mon Man! You’ve assembled an interview team from different areas of the company and failed to meet with them, prior to the interview, to discuss your specific need and their respective roles in the interview process. They all ask similar questions beginning with, “Tell me about yourself.” C’mon Man! This is an important hire, one that could have a big impact on your career. Instead of developing a list of Key Accountabilities and S.M.A.R.T objectives, you default to a mid-90’s job description and still expect to lure a top candidate your way. C’mon man! You want to hire a top producer in your field; one that can have a dramatic effect! You plaster a mid-90’s job description on every conceivable board possible (and a few telephone poles) and pray that your competitors top person will respond to your ad. C’mon Man! You contact your recruiting team or, you hire an external recruiter to help you fill your important opening. You’re too busy to speak with them about your opening and way too busy to give them feedback after an interview. You then complain there are no good candidates! C’mon man! You’ve attended the latest ‘new age’ interview training. Instead of asking real job related questions, you were instructed to ask questions that disrupt the candidate’s thought process; to see how they think on their feet, like “If you were an animal, what type of animal would you be and why?” Unless you’re interviewing for a position at the zoo, who cares? Really? C’mon Man! The key to strong revenue performance is fielding the best team possible. Effective recruitment is a business process and, should be treated that way, especially if you want to hire the best and brightest. Take the time to develop position Key Accountabilities, think through what you need done and by when, communicate with those assisting you, and be present and proactive in the process. Finally, consider new concepts like Job Matching technology and assessments. As the hiring manager, you shoulder this important responsibility; you signed up for it when you accepted the job! C’mon man!! Jim O’Hara is the President of Kellen James (www.kellenjames.com), an Advisory, Diagnostics and Search Consultancy that helps companies hire more accurately, manage more effectively and grow more efficiently. ← Gut Instinct or Objective Data?